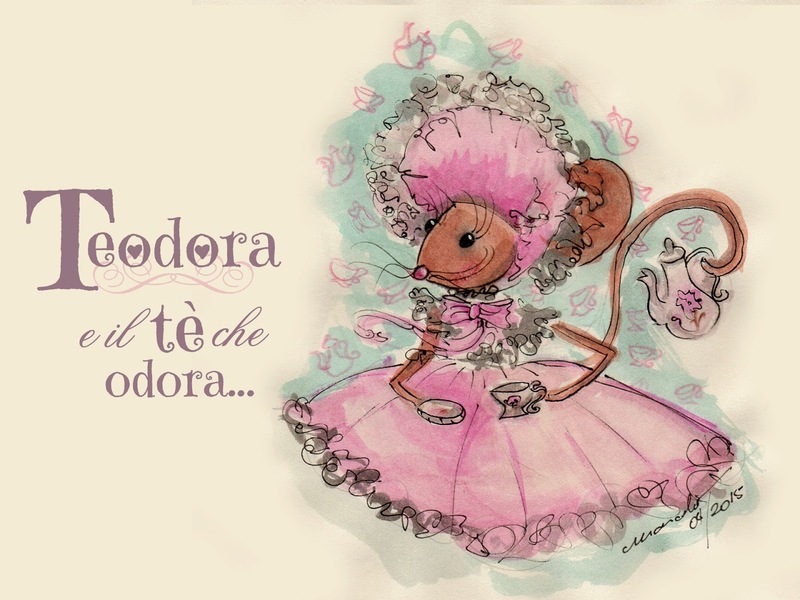 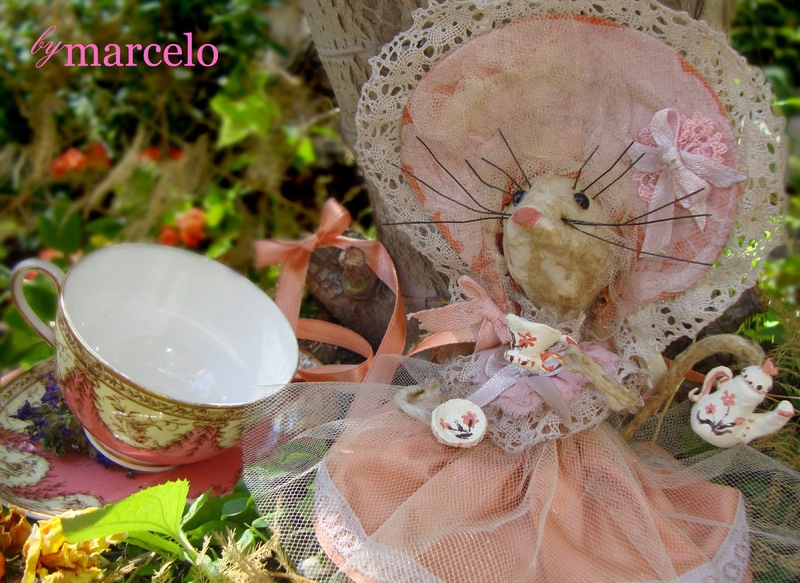 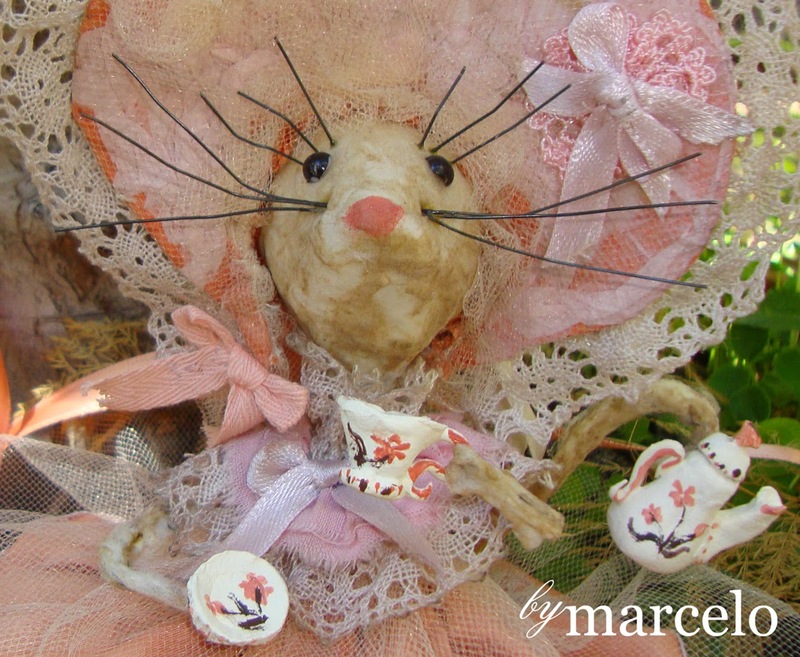 For my fairy mice collection, I create Teodora, a cute little mouse who loves Tea!! All dressed in light pink, she´s a fancy lady! 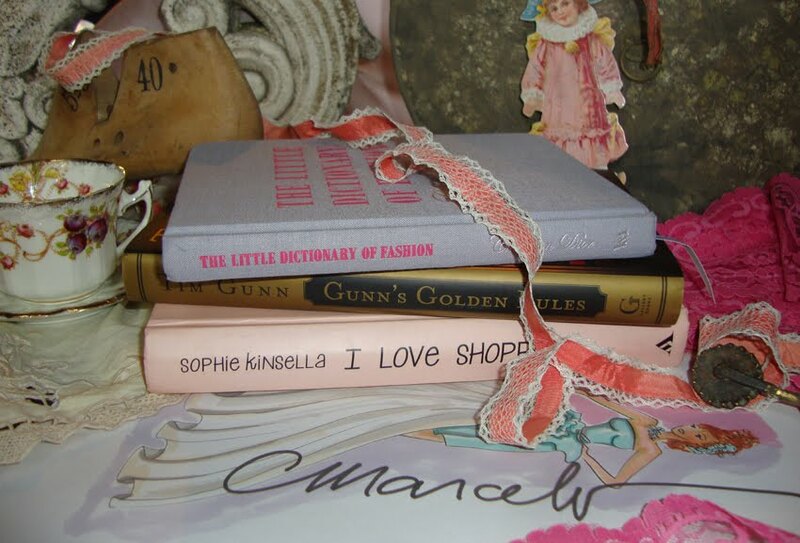 This was the inspiration for Lady Teodora: an antique pink teacup from my personal collection. 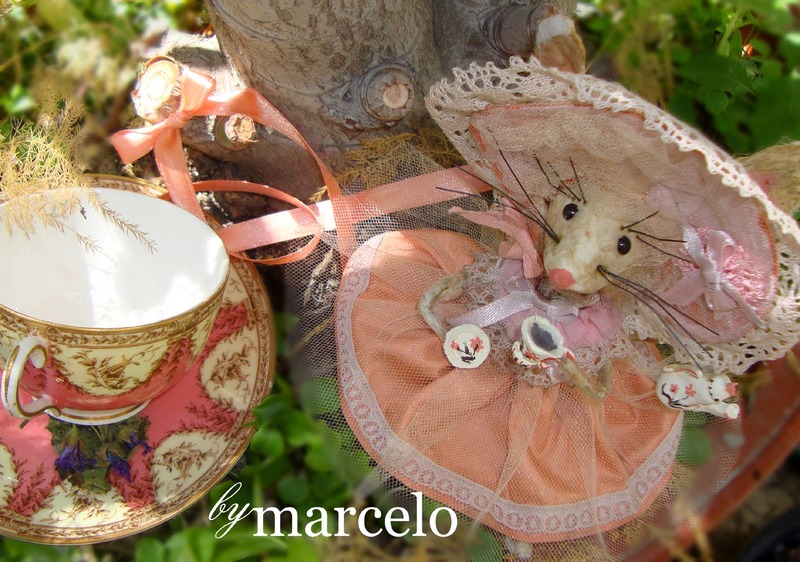 OMG ....It was such fun to meet your sweet Lady Teodora for teatime... sipping from your vintage cup is sure to inspire magical whimsy. This was such a delightful post ..Thank you for sharing the magic.